Mr. Sarad Gaihre, is an important member of MEL Unit (Monitoring, Evaluation and Learning Unit) working as a Field Coordinator, herein Scott Wilson Nepal. He holds a Master’s degree in Rural Development, Tribhuvan University. 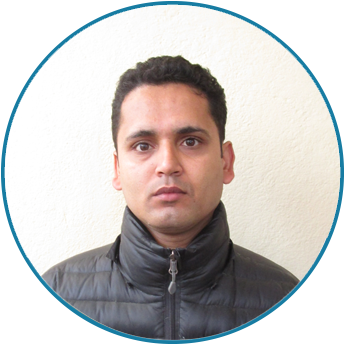 He has over five years of experience in development sector with experience in carrying out baseline/household/beneficiary surveys covering 2500 beneficiaries in over 70 districts of Nepal including all five districts of Karnali region. He is very competent at survey data collection, cleaning and entry (SPSS, MS Excel), facilitating enumerators’ training session, field data collection and mobilization process and logistics management. World Jewish Relief’s Livelihoods based Self Recovery Project in Nepal. OXFAM’s Household Profiling and Severity Mapping in Morang and Banke Districts. Team Leader, Final Evaluation Study of Promoting Women-led Enterprises for Energy Access and Local Production: WEE-Nepal, Centre for Rural Technology Nepal. Field Coordinator, Baseline Study for the Public Awareness Campaign (PAC) British Council /Dakchayata. Team Member, Baseline Study of Integrated Platform for Gender Based Violence Prevention and Response in Nepal Project, National Women Commission.